Each are hand signed by the artist. 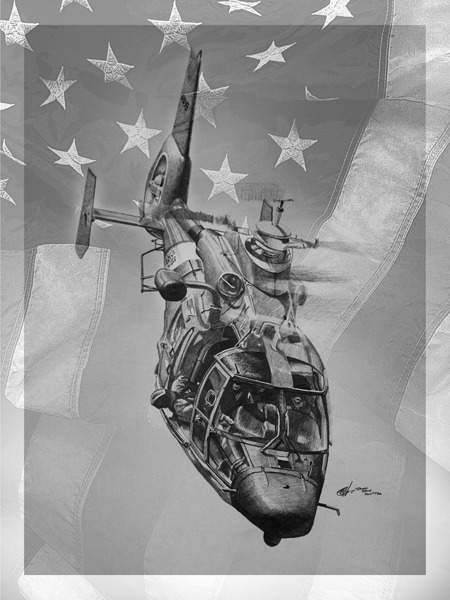 We are making a special price for this print and our Coast Guard friends. Reserve your edition today! In the summer Bryan can hear the familiar whistling of the Dolphin as it passes over the studio. MH-65s from Air Station Detroit are on detachment to the air facility in Muskegon.